Made of moisture-wicking fabric designed to be worn under a uniform or on its own, Century Compression Gear takes training to the next level. Compression wear supports muscles during workouts, and may help blood flow, improve performance and speed recovery time. 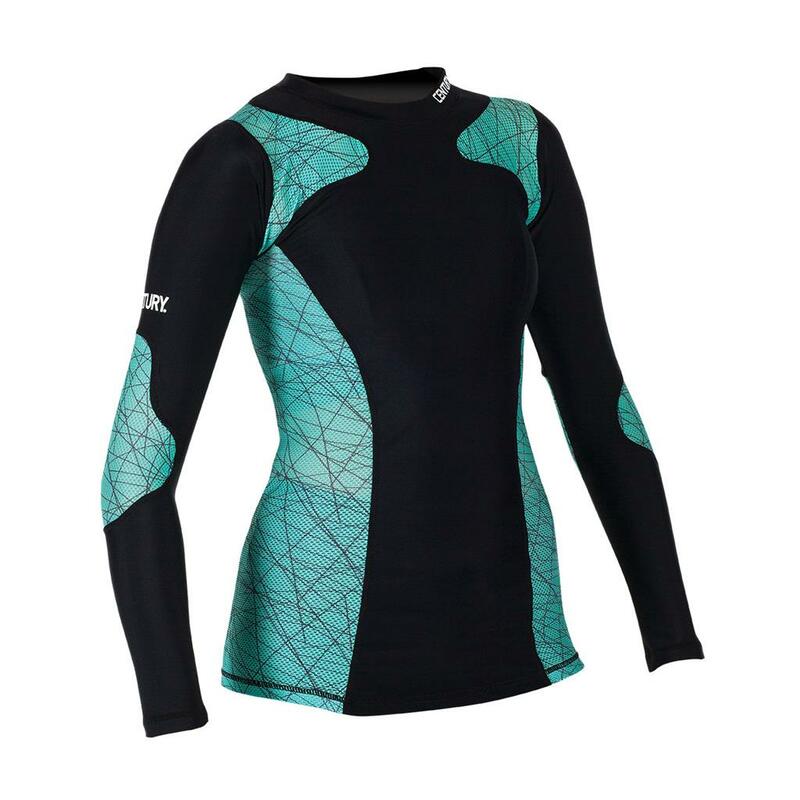 The women's long sleeve compression shirt, with its simple and bold design, features mesh elbows and sides for ventilation and freedom of motion.